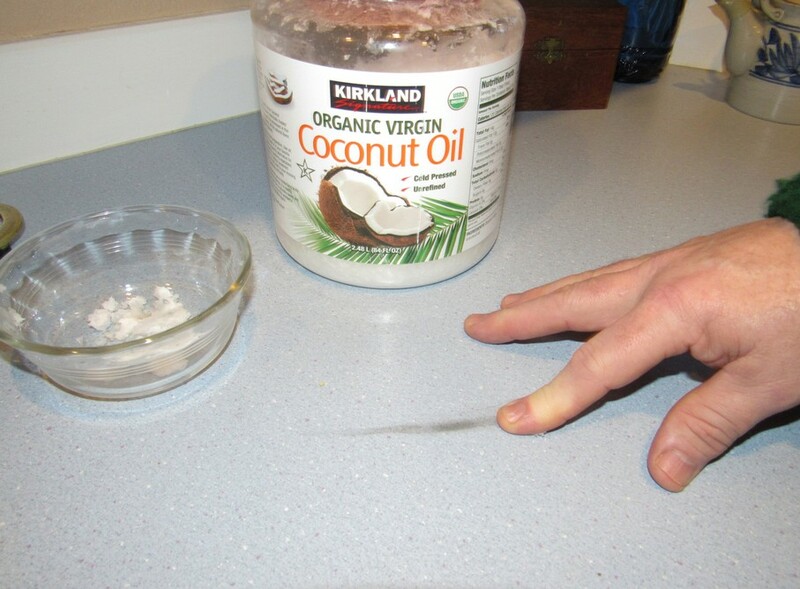 Check out these handy household tricks coconut oil can do to make your life easier. For many years, coconut oil has been a part of my skincare routine and general health care practices, but only recently have I discovered how useful coconut oil can be around the house. Here are the seven coconut oil uses that I’ve found to be the most effective and helpful. Do you have rust on scissors or knives or other older kitchenware? Don’t throw them out without reaching for the coconut oil first. To remove rust from utensils or kitchenware, just coat them with coconut oil. Let them sit for about an hour (or overnight if you’d like). Then wipe off the oil and wash the item with warm water. In most cases, the rust will be gone. 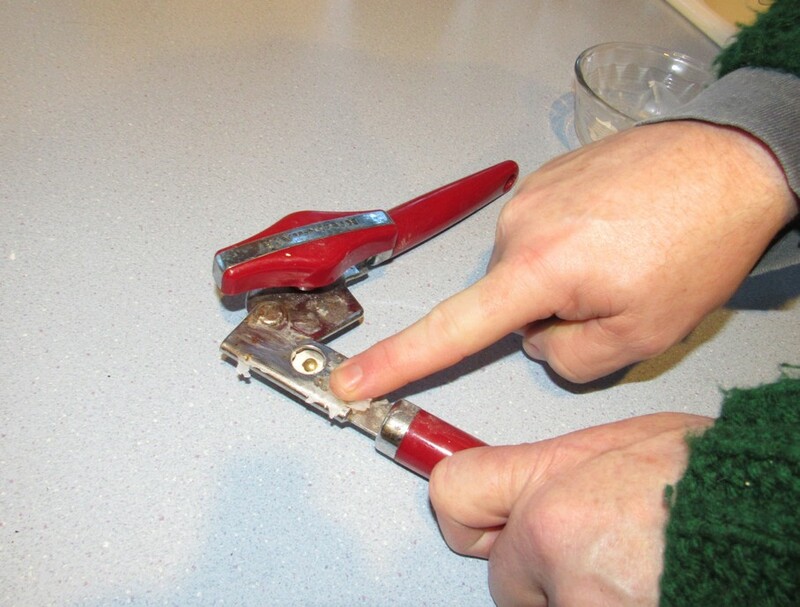 It worked when we tried it on an old can opener that had gotten a little rusty. Don’t you hate those sticky price tags that defy your attempts to remove them without leaving a sticky mess behind? Who doesn’t? I used to apply a chemical residue remover for these sticky situations, but I hated the strong smell (and I was sure inhaling the fumes wasn’t good for me). Now I use coconut oil for annoying tags that won’t let go without leaving gunk behind. To remove sticky residue from a price tag or label, just cover it with a layer of coconut oil. 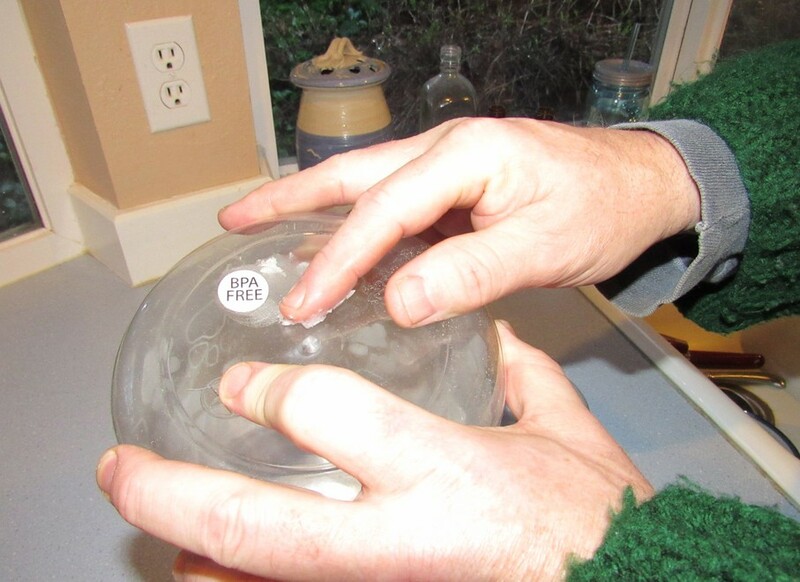 Let it sit for a few minutes (or longer if the label is thick) and wipe the label off. I used to use WD-40 to fix a creaking door, but I didn’t like the smell that the oil left behind. Now I use coconut oil. 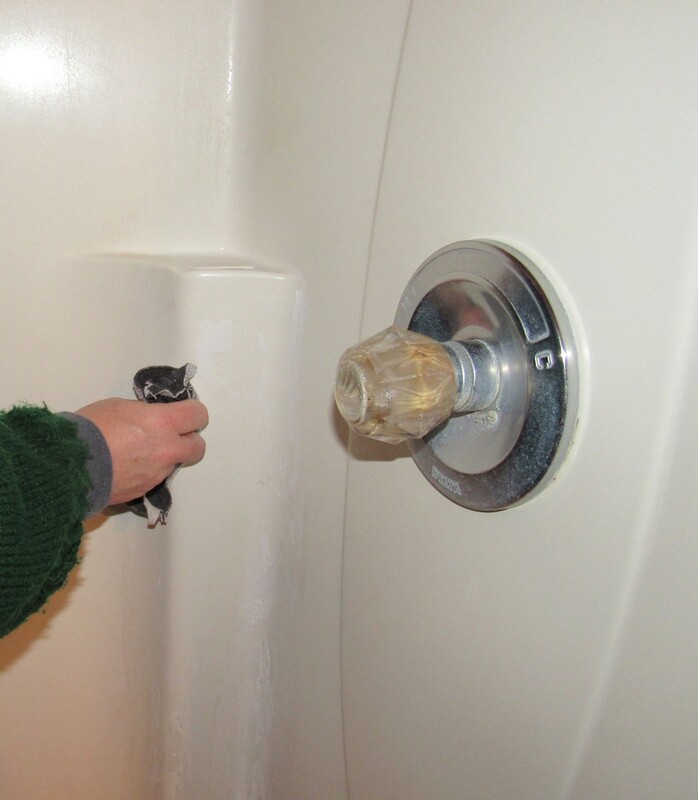 To remove a squeak from your door hinge, just coat the hinge with coconut oil. Let it sit for an hour or more. (I usually leave it there overnight.) 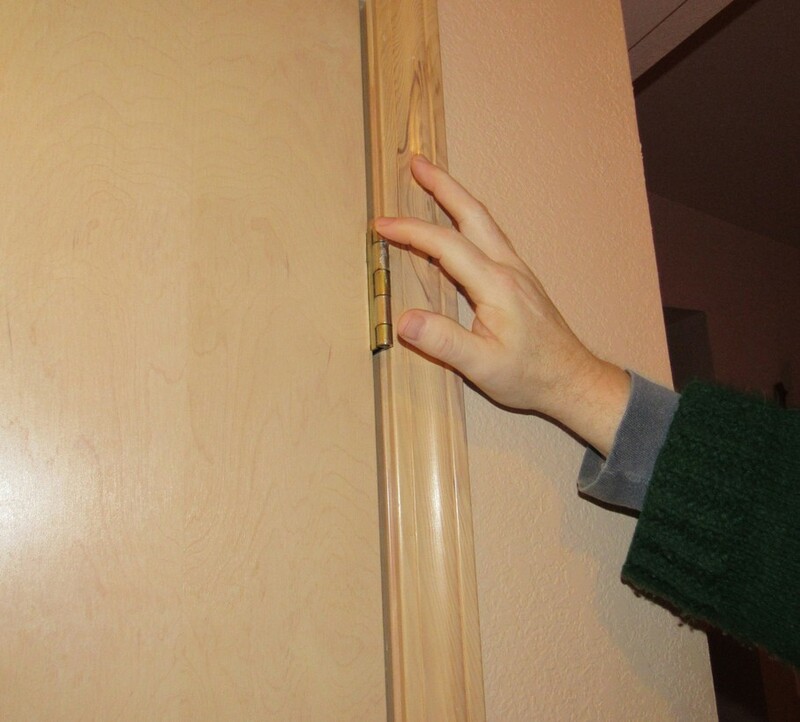 Then test the door. If it’s not squeaking anymore, wipe off the excess oil. How easy is that? I was surprised and thrilled to learn about this coconut oil shower remedy. I was a skeptic at first but not anymore. To remove soap scum from a shower or bath, put coconut oil on a cloth and wipe the scummy area with the oily cloth. Darned if the coconut oil doesn’t whisk away the scum most of the time. For thick soap scum build-ups, combine coconut oil with baking soda. Use about a 1:1 ratio and mix the oil and soda into a paste. Coat the soap-scum-covered area with the paste. Let it sit for 10 to 15 minutes, then wipe away the soap scum. The baking soda provides a little extra oomph for those stubborn areas. 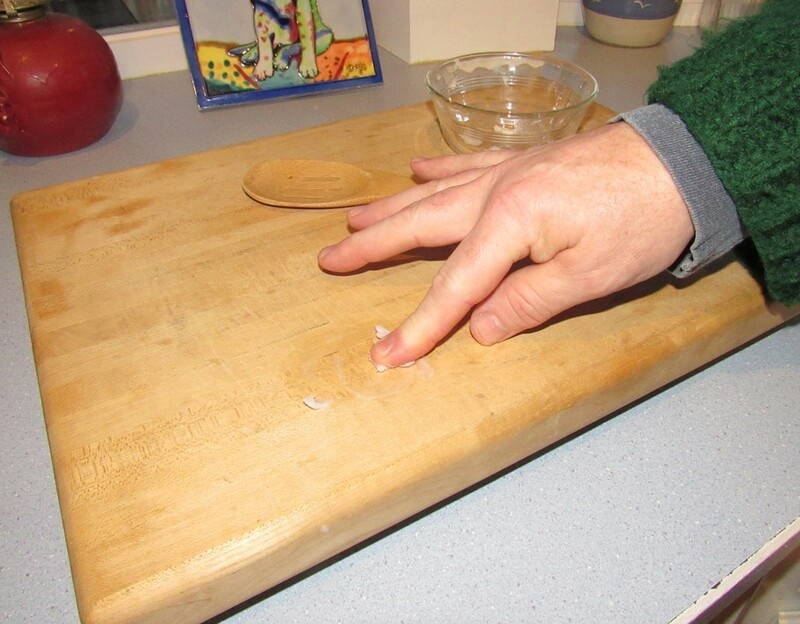 If you cook much, you know that keeping your wood cutting boards clean is essential to a healthy kitchen. The same goes for your wood utensils. Conditioning is important for these kitchen helpers as well. Conditioning, because it keeps the wood from drying out, maintains your wood kitchen items to help give them a long life. Coconut oil can both clean and condition these wood items. Just rub coconut oil over the wood surfaces. Wait 20-30 minutes so the oil can soak in. Wipe off the excess, and you’re done! I didn’t think it was possible to do anything to prevent dust, but it is. Coconut oil can minimize dust collecting on your furniture and other wood, plastic, cement, or metal surfaces. Just rub coconut oil over the surface. Let it soak in or harden. Then wipe off any excess. I used to see dust accumulate within hours of dusting the chest of drawers in our bedroom (that’s what you get when you have an active dog) but once I started using this trick, I have noticed that it takes a few days for any dust to become noticeable again. I’ll take those few days of relief from dust! Although I don’t have issues with black scuff marks because we don’t wear shoes in the house, I did have to tackle crayons on the wall recently after a friend’s child decided to use my spare room’s wall as her art canvas. Fortunately, I knew of the powerful versatility of coconut oil, so I just wiped away the crayon mark with coconut oil applied to a cloth. I’ve since used the same trick to remove a black scuff mark left behind by an appliance that was dragged across my kitchen counter. Once again, coconut oil came to the rescue. Now that you know the above coconut oil tricks, I bet you’ll be as eager as I was to add coconut oil to your collection of household helpers. Have you discovered any other household uses for coconut oil? Please share them in the comments below!